The Facility for Mass Spectrometry and Proteomics at the Center for Molecular Biophysics proposes analyses by MALDI-TOF, nanoLC-IT MS/MS, and ESI-Q3. This service is opened to the international, national and regional scientific communities, including public laboratories (CNRS, Universities...) and private companies. To submit samples for analysis, please contact Guillaume Gabant and fill out the following form: Analysis request. For best results, we encourage you to desalt your samples before submission. This can be done using HPLC or micro- purification methods such as zip-tips. For MALDI analysis, some buffer components can be tolerated, see the mass spectrometry - buffer compatibility table here. 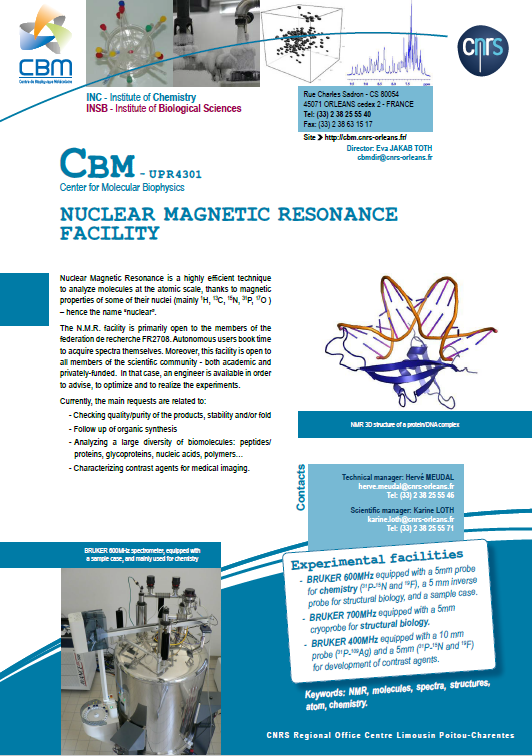 AFM / RAMAN platform NMR facility Optical spectroscopy facility This facility consists of several instruments based on optical spectroscopy for the biophysical characterization of biological samples. 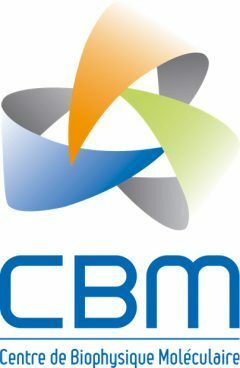 The optical spectroscopy platform is primarily available for CBM investigators, but remains open to all members of the scientific community - both academic and privately-funded.